When time is broke and no proportion kept!" At the February 1991 Audio Engineering Society Convention in Paris, Audio Precision's Dr. Richard Cabot (see my interview in January 1991, Vol.14 No.1) proposed a new technique for measuring noise modulation in D/A converters (footnote 1). The method, based on psychoacoustic principles, attempts to predict the audible performance of D/A converters. Now that Stereophile has added digital-domain signal generation and analysis to our Audio Precision System One, we can employ Dr. Cabot's technique and see if there are any correlations with subjective performance. The promise of "perfect sound forever," successfully foisted on an unwitting public by the Compact Disc's promoters, at first seemed to put an end to the audiophile's inexorable need to tweak a playback system's front end at the point of information retrieval. Several factors contributed to the demise of tweaking during the period when CD players began replacing turntables as the primary front-end signal source. First, the binary nature (ones and zeros) of digital audio would apparently preclude variations in playback sound quality due to imperfections in the recording medium. Second, if CD's sound was indeed "perfect," how could digital tweaking improve on perfection? Finally, CD players and discs presented an enigma to audiophiles accustomed to the more easily understood concept of a stylus wiggling in a phonograph groove. These conditions created a climate in which it was assumed that nothing in the optical and mechanical systems of a CD player could affect digital playback's musicality. One of the fundamental tenets of high-end audio is that a loudspeaker's bass output should be appropriate for the listening room's size. The smaller the room, the less bass the loudspeakers should produce. Any manufacturer of large loudspeakers who has set up such a system in a CES hotel room can attest to how difficult it is to avoid boominess in a tiny space. Let's say you play a CD on a poor-quality CD transport and store the digital audio data in a massive computer memory. You then repeat the process, but this time play the CD into the memory from the finest CD transport extant (say, the Mark Levinson No.31). A week later you feed the two sets of data from the massive memory into a digital processor and listen to the music. Would the CD transports' sonic signatures be removed from the signal? Could you hear a difference between the transports a week later? 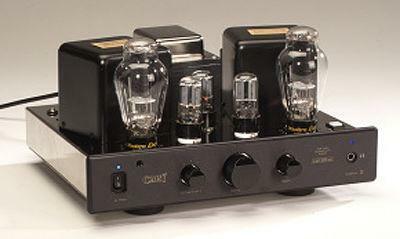 Cary Audio Design founder Dennis Had is largely responsible for popularizing single-ended amplifiers in America. 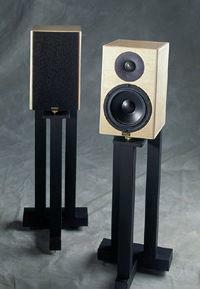 Since appearing on the scene in 1989, Cary Audio Design has forged its own niche in the high-end audio industry. I spoke with Dennis Had about how he got started building amplifiers, and why he's so committed to single-ended triode designs. As strongly as I believe that the listening experience is the most reliable method of judging the quality of audio equipment, I've been biased against single-ended tube amplifiers because of their quirky measured performances. Without having heard single-ended under good conditions—much less living with an SE amplifier—I had concluded that many listeners must like them because they're euphonically colored by large amounts of low-order distortion and impedance interactions with the loudspeakers. SE amplifiers seem to be a departure from the goal of making the electronics transparent. Moreover, the range of loudspeakers suitable for SE amplifiers is so restrictive that I wondered why anyone would bother with these underpowered distortion-generators. I had fallen into a trap that I've repeatedly railed against: drawing conclusions without firsthand listening experience (footnote 1). The $395 NAIT, rated at 20Wpc, is a good-sounding little amp. It's very open and spacious-sounding, but, like the $250 Rotel RA-820BX, sometimes sounds a little hard in the upper registers. Choosing a loudspeaker can be difficult. Although it is easy to be seduced by a certain model's special qualities, that exceptional performance in one area is often at the expense of other important characteristics. Go with high-quality minimonitors for their spectacular soundstaging, but give up bass, dynamics, and the feeling of power that only a large, full-range system can provide. If you choose an electrostatic for its delicious midrange transparency, you may have to forgo dynamics, impact, and the ability to play loudly. Pick a full-range dynamic system for its bass and dynamics, but lose that edge of palpability and realism heard from ribbon transducers.